Hydraulic Engineering contains 56 technical papers from the 2012 SREE Conference on Hydraulic Engineering (CHE 2012, Hong Kong, 21-22 December 2012, including the second SREE Workshop on Environment and Safety, WESE 2012). 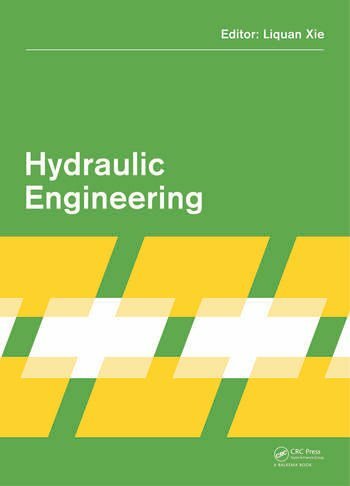 The conference served as a major forum for researchers, engineers and manufacturers to share recent advances, discuss problems, and identify challenges associated with engineering applications in hydraulic engineering, and the contributions showcase recent developments in the areas of hydraulic engineering and environmental engineering. The sections on hydraulic engineering mainly focus on flood prediction and control, hydropower design and construction technology, water and environment, comprehensive water treatment, and urban water supply and drainage, while the contributions related to environmental issues focus on environmental prediction and control techniques in environmental geoscience, environmental ecology, atmospheric sciences, ocean engineering, safety engineering and environmental pollution control. Hydraulic Engineering will be invaluable to academics and professionals in both hydraulic and environmental engineering.